James Blake Associates stands for efficient, engaged services, excellent communication, and intelligent sustainable solutions. James Blake Associates provides professional services in Landscape Architecture, Landscape Planning, Urban Design, Ecology, Arboriculture, Land Adoption and Weed Eradication. With 30 years in practice, James Blake Associates stands for efficient, engaged services, excellent communication and intelligent sustainable solutions, from inception to delivery and beyond. Our expert team cover a huge range of projects, and what sets us apart is our value innovation, i.e. we save tens (sometimes hundreds) of thousands of pounds for our clients by ‘going green’. 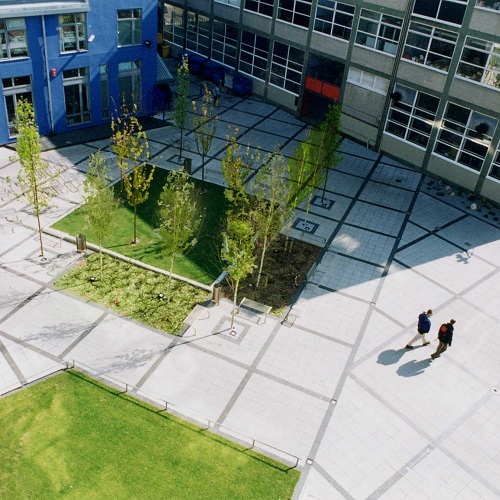 On one of our recent sites, we saved our client £1.8 million on 68,000 m2 of green infrastructure. We tailor our services to each client’s requirements, and to each specific site and stage of works. The James Blake Associates team is commercially and politically aware, careful to keep client confidences, and committed to putting client goals, aspirations, and purposes to the fore. Our continual investment in people and the latest technology allows us to deliver comprehensive landscape, ecology, arboriculture, and other environmental services throughout the entire development process – from RIBA stages 1 to 7.